Google's stock hit an all-time high of more than $800 this week, and it may be headed even higher, according to the sharpies on Wall Street. Google (GOOG) shares are on track to reach $1,000 at some point over the next 12 months, according to analysts at CLSA, a division of Credit Agricole. That's a hundred bucks higher than their previous target. Bernstein Research analysts also hiked their price target to $1,000 a share, up from $820. Deutsche Bank was slightly less bullish, if you consider $935 less bullish. That's 10% higher than their previous target. Google's been on a tear this year. Shares are up 13% only two months into the year. 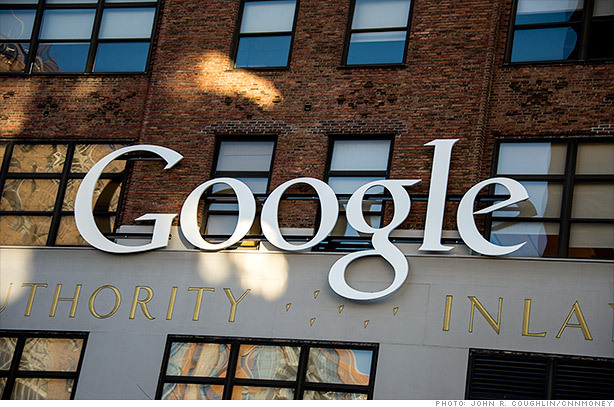 On Thursday, Google was trading at about $799 a share. If the analysts are right, investors who buy Google at the current price stand to gain more than 25%. Bernstein analysts say Google will benefit from increased use of smartphones and tablets, which should translate to growth in advertising revenue. They also argue that YouTube is "an underappreciated asset." CLSA analysts also see Google cashing in on mobile advertising, as the search engine operator implements its new ad management system, Enhanced Campaigns. But traders on StockTwits were not so sure. The bullish reports could be a contrarian sell signal, according to a few posts. Still, Google has been enjoying a moment in the sun as Apple falls from grace. The erstwhile king of tech stocks, Apple has seen its share price fall by a third since it hit an all-time high last year. In addition to not being Apple, some traders were excited about other products Google has in development, including its "project glass" virtual reality glasses. $GOOG Glass is getting a lot of attn, and rightfully so. Do you see yourself wearing it, esp if you already wear glasses? At least one outspoken trader does not.